Shares in budget airline Ryanair (LSE: RYA) fell again in early trading today as the company announced a “disappointing” net loss of €20m in the third quarter of its financial year. Having lost 30% of its value over the last 12 months, does the stock now represent great value? I’m still not convinced. To be fair, the update wasn’t devoid of positives. The number of passengers carried by the firm rose by 8% in the three months to the end of December to 32.7 million. Revenue also climbed 9% to €1.53bn, supported by customer demand for extras such as priority boarding and reserved seating. 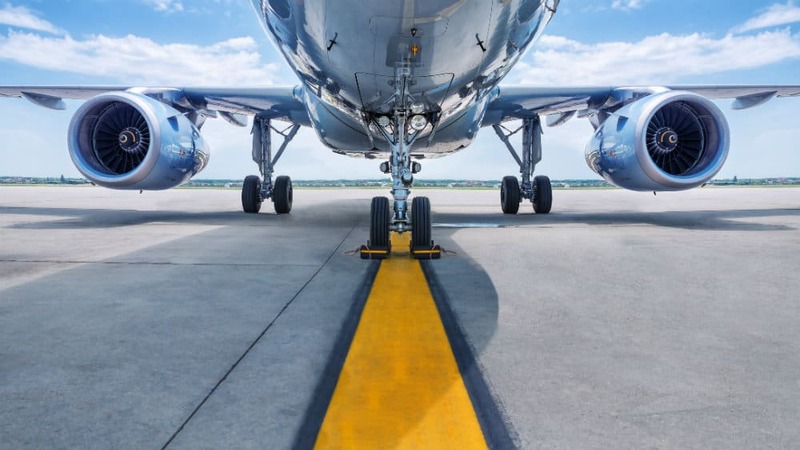 Nevertheless, the firm was hit by a combination of more expensive fuel prices, staff costs and a 6% fall in average fares to below €30 as the airline continues to compete against rivals for travellers’ cash. Despite this, Ryanair was keen to stress that it had the lowest unit costs of all airlines operating in the EU and that “this gap is widening“. The £11bn cap went on to announce a change in structure with each of its four subsidiaries (including the loss-making Laudamotion) gaining their own CEOs and management teams. Michael O’Leary will now take up the position of Group CEO and has agreed to stay with the company until “at least July 2024“. None of this, it would seem, was sufficient to soothe investors’ concerns over the possibility of further hits to earnings (and the share price). Back in January, Ryanair announced that profits would be between €1bn and €1.1bn. Today, however, it stated that it could not dismiss the possibility of further reductions in air fares, particularly if lower oil prices allow flagging competitors to continue operating. As a consequence, full-year profits could come in even lower, even more so in the event of any security incidents or “unexpected” developments on Brexit. As far as the latter is concerned, Ryanair said that it had taken “all necessary steps” to protect itself in the event of a no-deal outcome but hopes that “common sense will prevail“. While it’s vital to look beyond the most recent set of numbers before making an investment decision, today’s news does little to change my view that Ryanair looks less enticing as an investment compared to its listed competitors. Rival easyJet is the clear option for those looking to generate an income from their investments (since it’s the only one that pays a dividend) but peer Wizz Air (LSE: WIZZ) — which reported a 10% rise in passenger numbers today — would be my pick for more growth-focused market participants. Priced at 15 times earnings, Wizz may be more expensive to buy than Ryanair (P/E of 12) but a predicted 21.5% EPS rise in 2019/20 brings the former down to a little less than 13. Perhaps more importantly, a PEG ratio of just 0.54 suggests investors will be getting a lot of bang for their buck. But there are other attractions. Returns on capital are far higher on average at the Geneva-based business (27% vs 14%). It also possesses a huge amount of cash on its balance sheet, while Ryanair had a net debt position of €1.5bn at the end of Q3 thanks to ongoing investment. At a time of high economic uncertainty, Wizz’s financial standing is surely preferable. Should there be further turbulence ahead, I may just take advantage.